Indium Corporation will feature its reinforced indium and solder alloy fabrications, InFORMS®, at PCIM Europe, May 10-12 in Nuremberg, Germany. InFORMS are reinforced solder preforms that maintain a constant bondline thickness, thus significantly improving thermal cycling reliability. This is a key requirement in IGBT assembly of the DBC to the baseplate. InFORMS provide engineers with an enhanced material for the development of new, or the improvement of existing, applications. 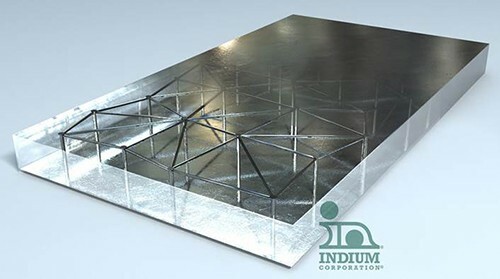 For more information about InFORMS, visit www.indium.com/inform or visit Indium Corporation at stand 7-413.